It is important that your gate and garage motors function at all times, even during power failures, especially since 80% of hijackings occur in driveways in Johannesburg. This is why it is so important to choose the best electric motor for your needs. Nice Hansa, ET as well as Centurion gate motors offer a variety of auto gates, including the D5 gate motor, with the battery backup feature. Many older motors do not have battery backup. Contact us to replace old 220 volt motors that will not work during a power failure with battery backup technology that will continue working. Your life may depend on it. Don't wait until it is too late. Contact Us NOW! Contact the most reliable Automatic Gate Repair company. 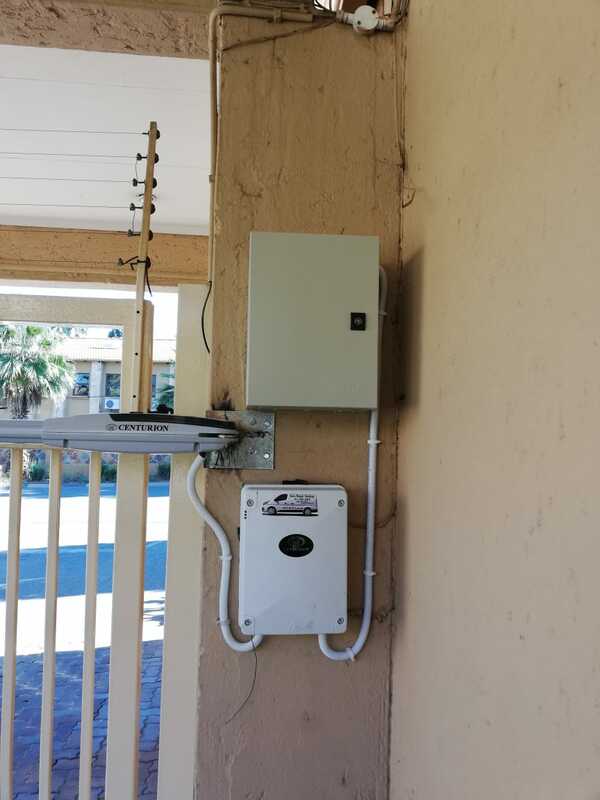 In the event of an extended power outage such as load shedding we can install an extra 40AH battery backup to keep your gate or garage motor powered up! It is not safe to have to go out in the dark and open manually.